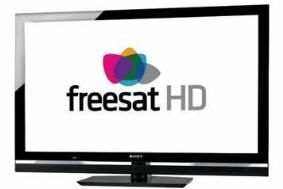 Freesat hits 1 million sales – and 40% are from former Sky homes | What Hi-Fi? Still, Freesat is crowing for now with the news that it's reached 1 million sales since its launch in May 2008. An "excellent Christmas and New Year" saw sales increase by 250,000, with the service now accounting for 30 per cent of all set top boxes sold in the UK based on value. Perhaps unsurprisingly, the majority of Freesat sales have come from homes with existing satellite dishes, with 40 per cent of all sales coming from Sky homes. Emma Scott, managing director of Freesat, says: ""Freesat is a great opportunity for the millions of homes with existing satellite dishes who are used to quality TV but no longer want to pay a monthly subscription for it and we continue to see an increasing number of viewers moving across from pay TV." “Much of what we're now working on is paving the way for next generation free TV with innovations like BBC iPlayer and ITV Player.